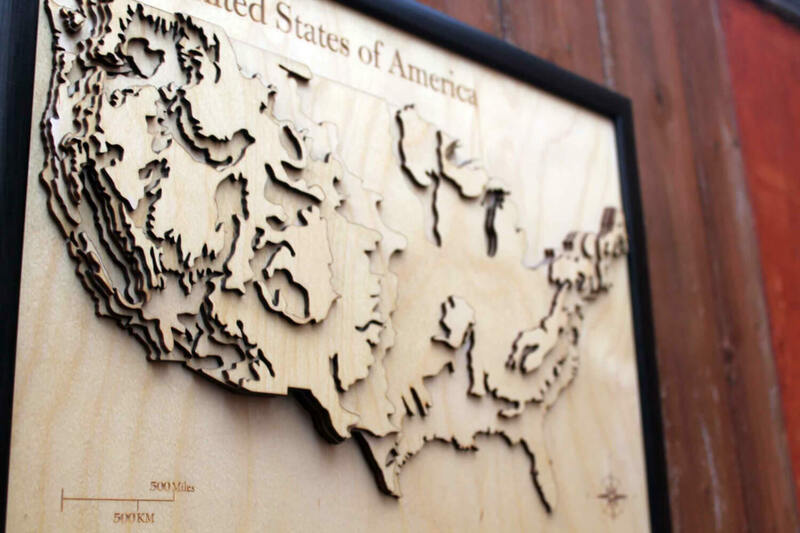 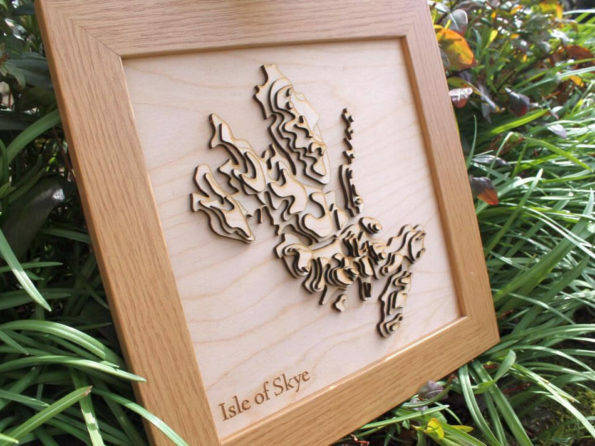 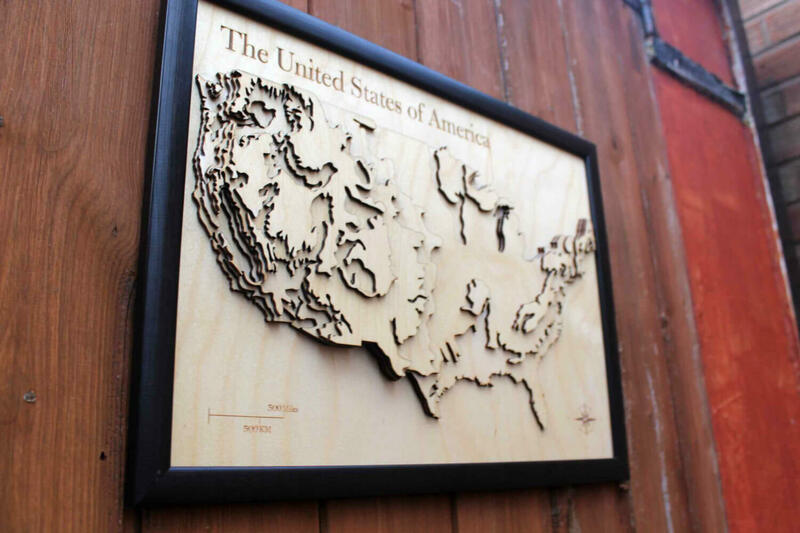 This is a 3D map of the United States of America laser cut on birch wood. 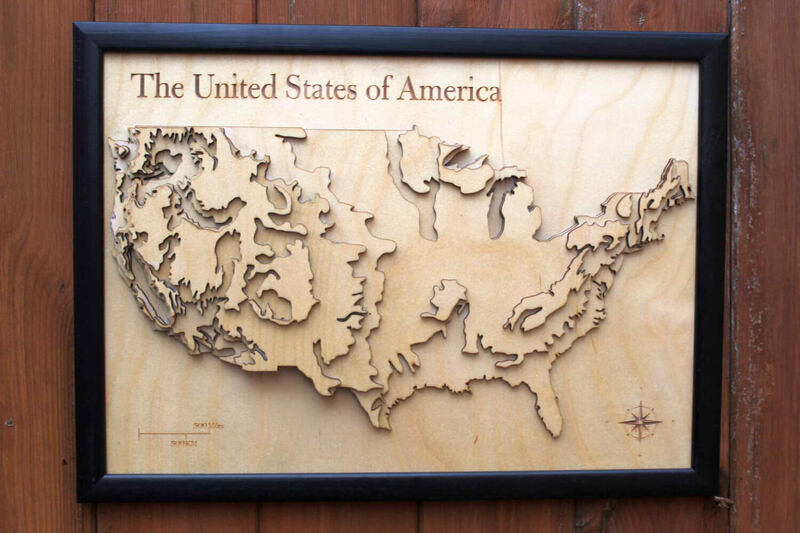 This item uses five layers to create a 3D representation of the USA. 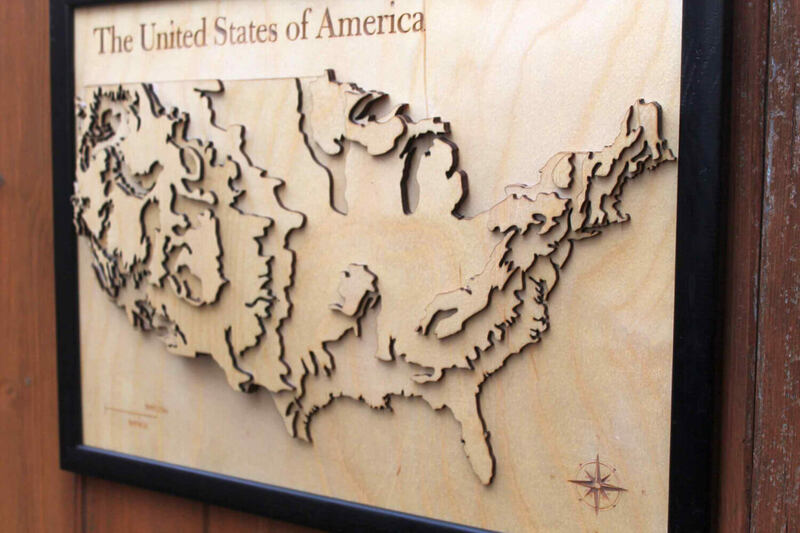 The United States of America plus a scale and compass are engraved on the bottom layer. 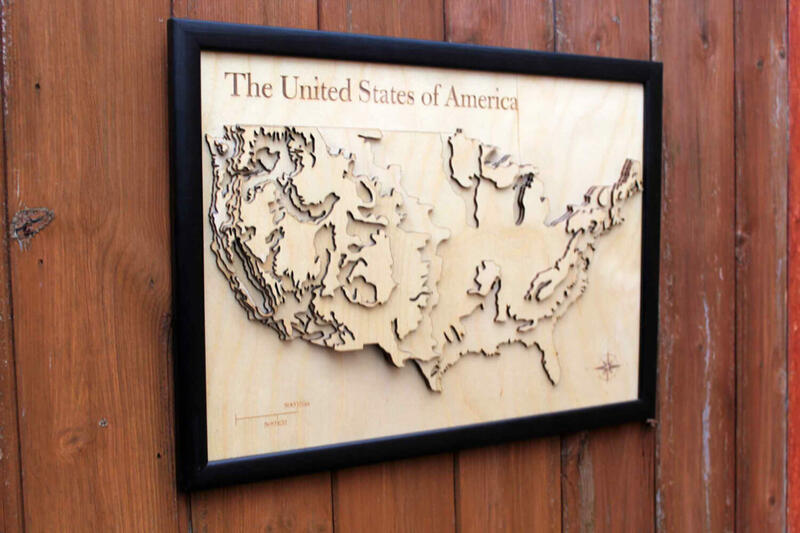 It comes provided with the frame, as pictured. 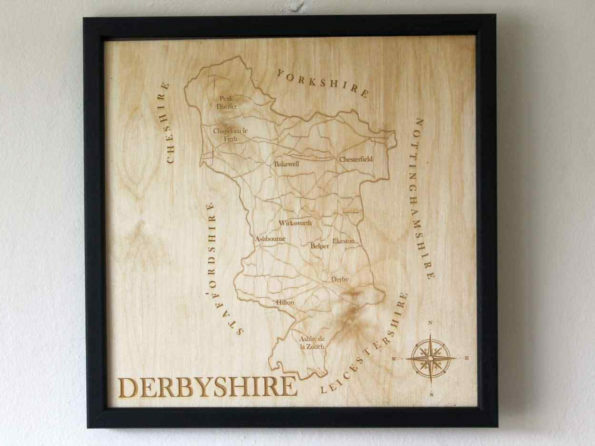 This item is fabricated by glueing the fiver layers together and then finished using a layer of Boiled Linseed Oil to give the item a deep finish and also protect it from the humidity of your home.